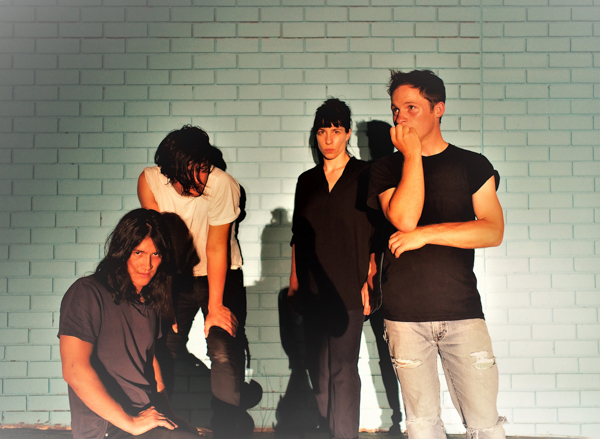 Melbourne’s Deaf Wish have returned with an official video for “FFS”, the propulsive and excellent lead single from Lithium Zion, their forthcoming album. “FFS” was directed by band members Jensen Tjhung and Daniel Twomey, is shot in glorious black and white, and stars guitarist/vocalist Sarah Hardiman delivering an intense and engaging performance of the song. The music on Lithium Zion was collaboratively written by Deaf Wish, with each member taking turns on lyrical and vocal duties throughout the album. The album was recorded and mixed in Melbourne in April of 2017 with Nao Anzai, with additional mixing from Mikey Young of Total Control (who also mixed the group’s “St. Vincent’s” 7” single and Pain album, both released on Sub Pop). Lithium Zion will be available on CD/LP/DL/CS worldwide on Friday, July 27th, except for the UK on Friday, August 3rd, through Sub Pop [pre-order here]. 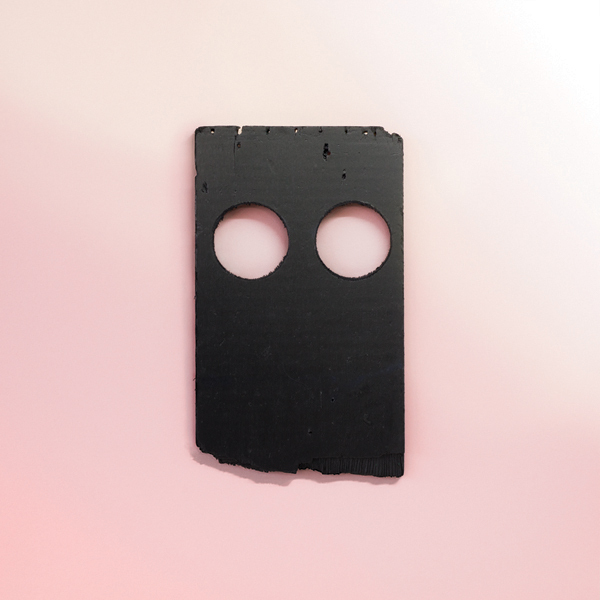 LP preorders of the album through megamart.subpop.com and select independent retailers will receive the limited Loser edition on hot pink vinyl (while supplies last). 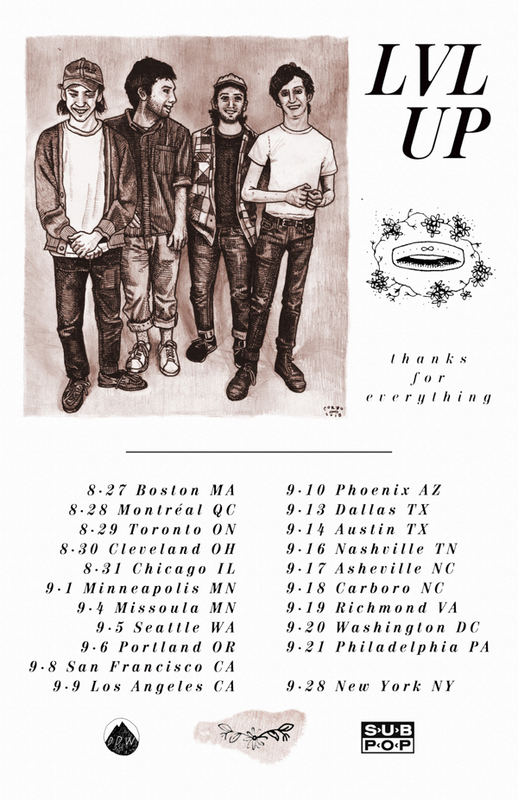 Today we share the bittersweet news that New York’s LVL UP will embark on their final tour this fall, and has released “Orchard” the group’s final single today on Sub Pop. The trek begins August 27th in Boston at Great Scott, and ends September 28th in New York at Bowery Ballroom. Full list of dates is below. “We have decided to retire this project. It has been an extremely rewarding journey beyond anything we could have ever realistically imagined. 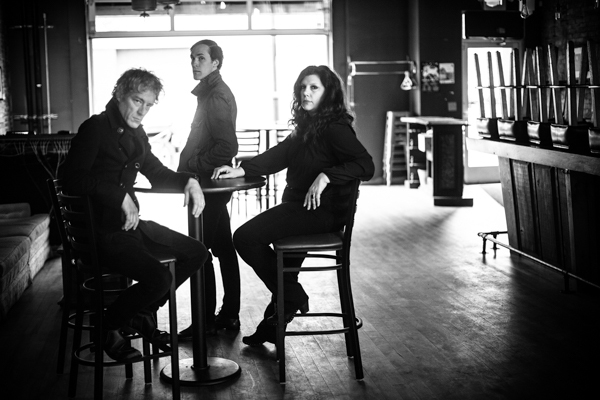 The band began in a college dorm room in 2011 as a lighthearted recording project. We have since been lucky enough to tour nationally and internationally over the last seven years with the support of many lovely people, and will never be able to thank our friends, families, and loved ones enough for providing such warmth throughout this experience. Our deepest gratitude goes out to every label, band, and person who’s played a role in this wild ride. 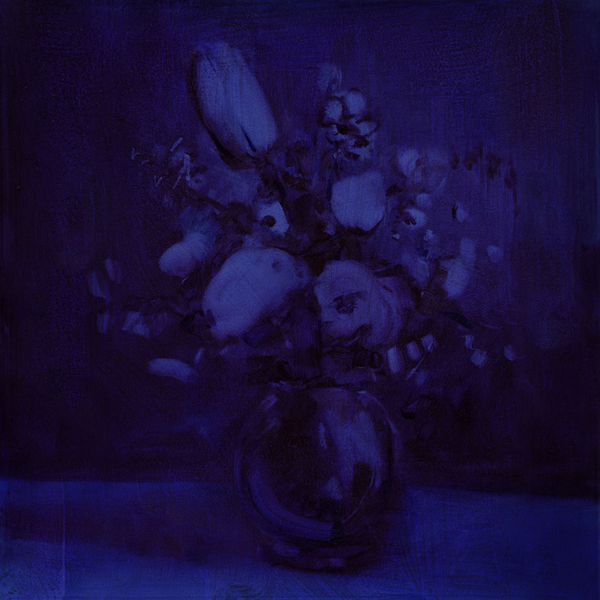 “Here is our last single, “Orchard”, which we recorded early this year. As always, thank you to our eternal friend and fifth member Mike Ditrio for helping us with this and every other recording process we’ve had. “Everyone in the band will continue to support each other while we release new material through different outlets. “LVL UP will be performing live for a final stretch of time this coming fall. 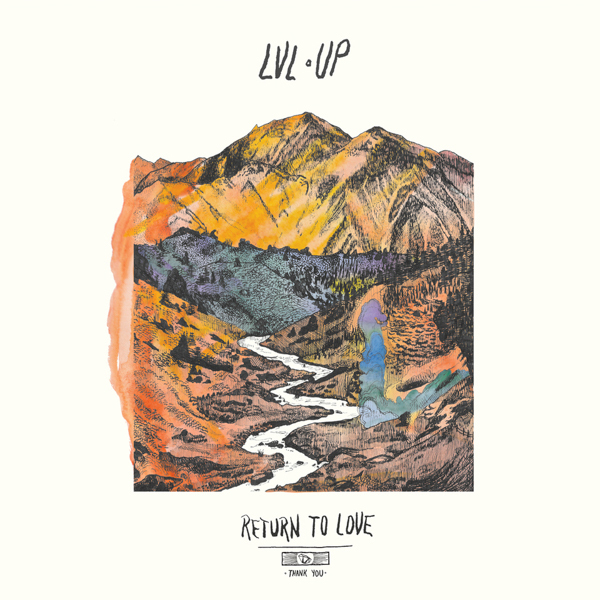 LVL Up’s last full-length release, Return To Love, is also available now on CD/LP/DL/CS from Sub Pop right here. 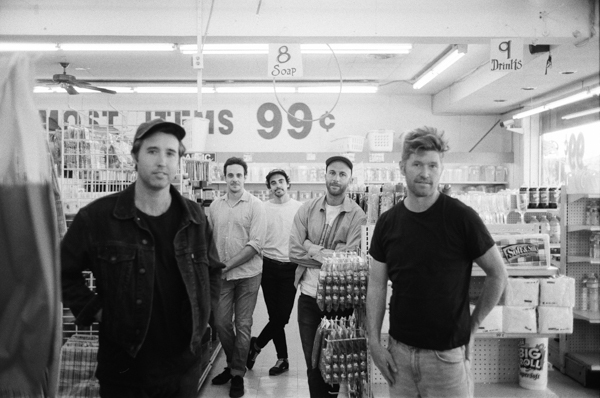 ROLLING BLACKOUTS COASTAL FEVER SHARE “THE HAMMER” & ANNOUNCE US TOUR DATES HOPE DOWNS OUT NEXT WEEK ON SUB POP! 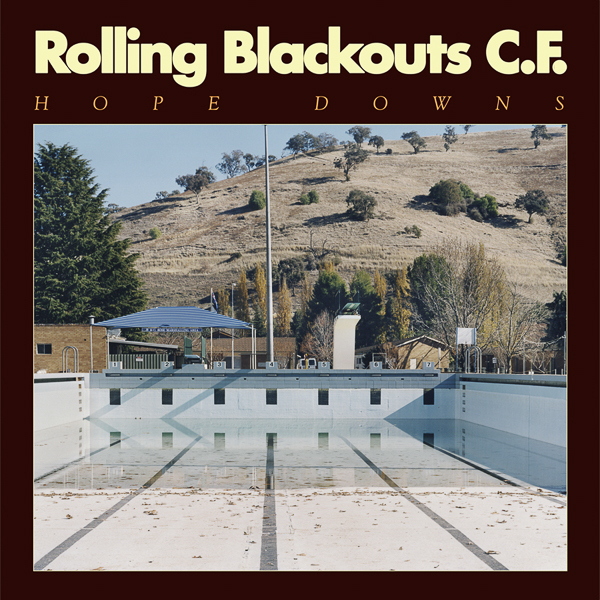 Just days away from the release of their highly-anticipated debut album Hope Downs - out Friday June 15 via Sub Pop Records, Rolling Blackouts Coastal Fever today announce their biggest headline tour to date. The monolithic Hope Downs World Tour will see the Melbourne outfit traverse the globe across four months playing to fans in the USA, Canada, Australia, the UK, and Europe and will include sets at Lowlands (Netherlands), Pukklepop (Belgium) with more to be announced. In celebration of the news, Rolling Blackouts Coastal Fever have dropped a surprise slice from their album in the form of closing track, “The Hammer” to follow the already stellar tracks “Mainland,” “Talking Straight,” and “An Air Conditioned Man” we’ve been treated to so far. It’s been an incredibly busy few months for Rolling Blackouts Coastal Fever. Between taking out the coveted Australian Levi’s Music Prize and being announced on this year’s Splendour in the Grass, the five-piece have filled their time touring across North America, the UK and Europe playing sold out headline shows (many of which on their first time through the city) and performances at some of the world’s biggest music festivals including Coachella, The Great Escape, Primavera, Shaky Knees and more. Current radio single “Talking Straight” is also shining at radio, with support from the likes of SiriusXM, KEXP, and KCRW in the States, triple j in Australia, and BBC 6 Music & BBC Radio 1 in the UK. 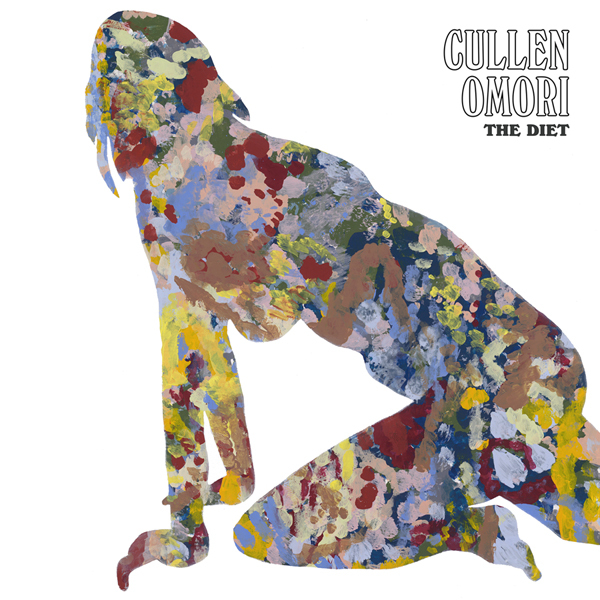 On August 17th Cullen Omori will release his sophomore effort, The Diet worldwide via yours truly, Sub Pop Records. Omori has shared a brand new video for song, “Happiness Reigns” [as seen above here], which was directed by Sarah Strunin and is a charming slice of power pop with lyrics that combine fatalistic imagery (“flowers of uranium/ and the kids just play along”) and a wide-eyed apologia to a woman, is perhaps the closest Cullen gets to the classic love-song ideal on The Diet. Prior to the release of The Diet, Omori will embark on a seven date tour opening for the Japanese alternative rock band The Pillows. These shows are presented by Adult Swim to celebrate the highly-anticipated return of the channels cult-anime hit FLCL. The tour will kick off on July 10th in Boston, with shows in New York, Seattle, Portland, San Francisco and Los Angeles. Pre orders for The Diet are available now through Sub Pop right here. LP pre orders through megamart.subpop.com and select independent retailers will receive the limited Loser edition on lavender swirl vinyl (while supplies last). There will also be a new T-Shirt design available. 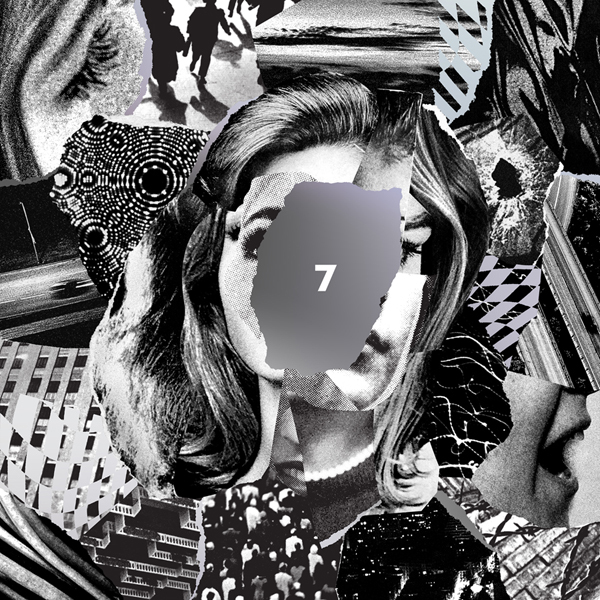 7 is one of the best-reviewed albums of the year, earning Beach House “Best Albums of 2018 (So Far)” placements from the likes of Stereogum (#1), Entertainment Weekly, Rolling Stone, Billboard, Consequence of Sound, and more. 7 also debuted at #20 on the Billboard Top 200. The album also spent three weeks at no. 1 on the NACC Top 200 chart. Beach House’s massive worldwide tour in support of 7 resumes July 24th in New Haven, CT at College Street Music Hall and continues on through October 20th in Dublin, IE at Vicar Street. 7 is available now from Sub Pop, Bella Union (Europe), and Mistletone (Australia / New Zealand).